After spending two years as the Assistant Coach, Matt Gedman will take over as Head Coach this upcoming Summer. Gedman, a product of Framingham, Massachusetts, played baseball for the University of Massachusetts, Amherst from 2009-2011, before being drafted by the Boston Red Sox in 2011. The first baseman played four seasons in the Red Sox minor league system, making it as high as the Salem Red Sox (Advanced-A). Gedman's father, Rich Gedman, is a former Red Sox catcher and current hitting coach for the AAA Pawtucket Red Sox. 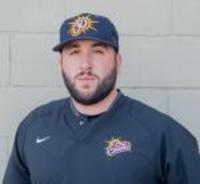 While Gedman is not coaching in Pittsfield, he spends the remainder of the year as the Assistant Baseball Coach for Trinity College in Hartfod, CT.